Morocco As You'd Never Imagined It. When people think of Morocco, their thoughts invariably go to the same place. They picture exotic spices piled high in the medina of Marrakech, they envision snake charmers at the Jemaa El Fnaa square, they imagine conservative dress and religious calls to prayer ringing out over the city; but an all-night raging music festival? Not many know to expect that. 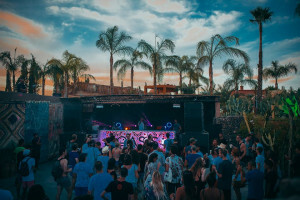 Welcome to the Oasis Festival, an extravaganza that finds you soaking in Moroccan culture by day and dancing to house, techno and electronica music by night. 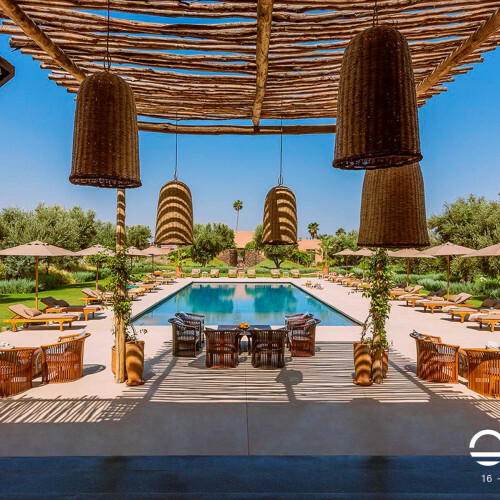 Taking place at The Source--a stunning hotel in Marrakech with a view of the majestic Atlas Mountains--the Oasis Festival is set for a lineup including Actress, Avalon Emerson, CarlCox and Denis Horvat. Hotel packages allow you the ease of being driven to and from the 3-day festival and staying in luxury accommodations with an unbeatable view of the surrounding mountains. 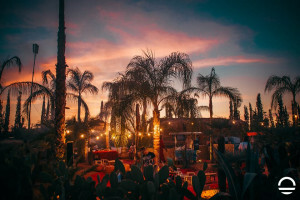 From henna to food vendors to a champagne bar and musical acts, this festival combines the colorful culture of Morocco with the heart-thumping jams of today’s hottest artists. Shatter the Marrakech stereotypes and see a different side of the city. Experience Moroccan culture by day and dance like crazy by night. Stunning mountain views from The Source hotel venue. Luxury accommodation for an incredible festival experience.